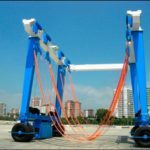 Shipyard Travel Lift Manufacturer Supplies Light Duty Travel Lift Heavy Travel Lift Top Quality Factroy Price Great Choice For Boat Lifting! 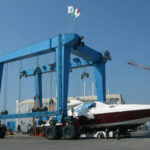 Shipyard travel lift is necessary lifting device for boats. 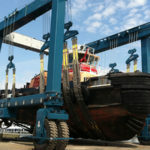 It has multiple functions, it can lift vessel from water, put vessel into water and maintain vessel on the land. It is amphibious. This can save much energy and time. 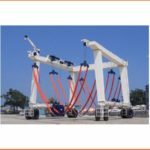 According to different features, mobile boat hoist includes construction travel lift, cheap travel lift for sale, ISO approval marine travel lift, straddle travel hoist, all-wheel steering travel lift and safe driving steady travel lift. 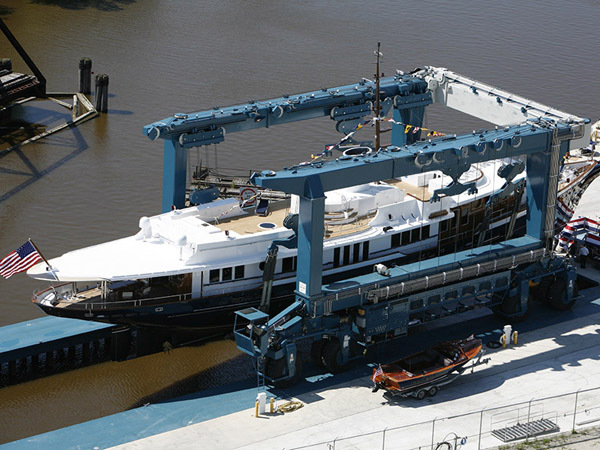 Ellsen Group, a well-known and professional marine travel lift supplier in China, supplies great marine mobile travel lift for sale, such as seaport travel lift, factory price travel lift for sale, highly effective travel lift, remote control boat hoist, cabin control boat hoist. All of these gantry cranes have reliable performance, reasonable design and factory price! Customers can choose the most suitable marine travel lift for work! High efficiency, high safety and high quality! 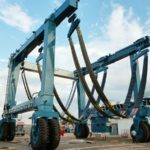 How to choose suitable shipyard travel lift for different lifting duties? This needs skills. 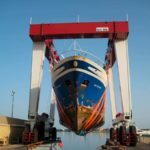 According to duty, Ellsen marine travel lift can be divided into two types, light duty boat hoist and heavy duty boat hoist. For light duty, small mobile travel lift is enough, such as 10 ton travel lift, 25 ton marine travel lift for sale, 50 ton boat hoist for sale. Light duty boat hoist has light weight, very flexible and fast to move. 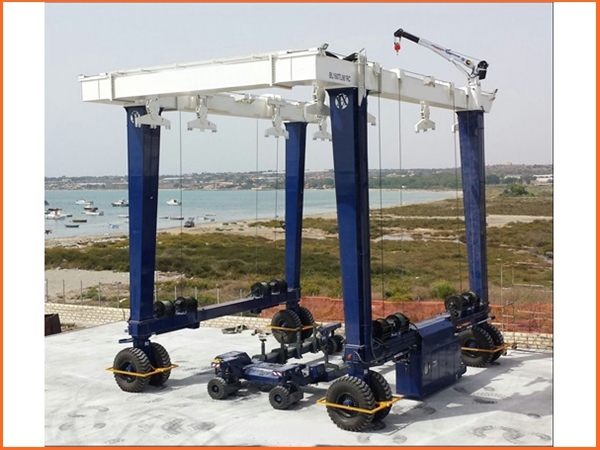 Small vessel hoist has terse structure, simple to maintain and repair. 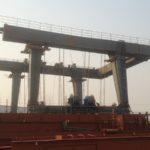 For heavy duty, large travel lift is suitable, such as 150 ton travel lift for sale, 500 ton mobile boat lift gantry crane, 1000 ton marine travel lift. It has powerful loading capacity and complete safety protection devices. Different working condition needs different mobile travel lifts. Customers can purchase reasonable type according to practical needs and requirement. 1) It adopts the soft and firm belt to lift the boat, yacht; it will never hurt the surface. 2) It also can put the boat in sequence quickly with small gap between each two boat. 3) Powered by its own diesel generator, the whole system is hydraulic driven. 4) The lifting points are adjustable, many points could be lifted at the same time. 5) Rubber tyred traveling mechanism makes an easy traveling, with the functions of oblique movement, Ackerman steering and rotate at the same place. With a 4% climbing ability when full load. 6) The main beam and end beam are connected by hinge form, which eliminate the partial stress due to the bad road condition.